The National Weather Service's Tsunami Warning Center will conduct a tsunami drill along the East Coast, including in New Jersey, on Tuesday, Mach 26, 2019. The fictional disaster scenario originates from an earthquake off the coast of Puerto Rico. 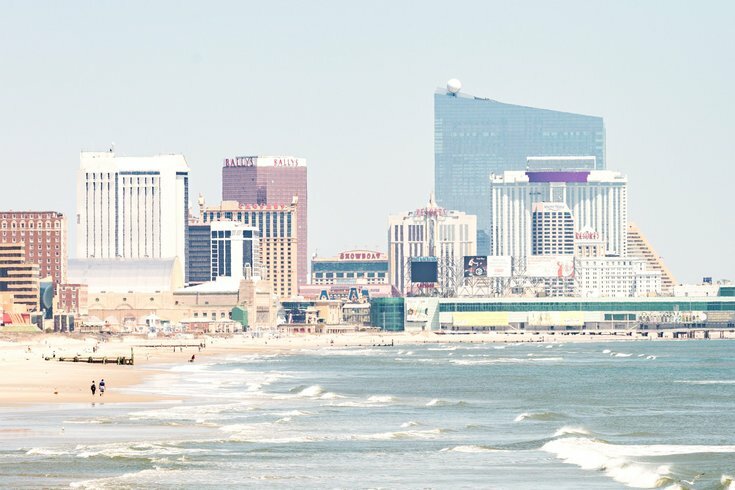 Atlantic City, shown in the file photo above, gets hit by the hypothetical tsunami wave that results. What would happen if a massive, 8.5-magnitude earthquake struck off the coast of Puerto Rico? New Jersey residents might shoulder some of the worst of the resulting tsunami sent by shockwaves along the East Coast. This disaster scenario will be simulated as part of a tsunami drill being conducted by the by the National Weather Service's Tsunami Warning Center on Tuesday, March 26. Dubbed LANTAX 19, the annual safety drill goes largely under the general public's radar. "This annual exercise helps improve effectiveness of the U.S. Tsunami Warning System," said Susan Buchanon, a spokeswoman for the National Weather Service. "It allows NWS and our partners in emergency management and the states the opportunity to practice response plans by reviewing communications and procedures, and promoting tsunami preparedness." For context, the devastating 2004 tsunami that struck Indonesia was precipitated by a 9.1-magnitude earthquake. The disaster killed more than 225,000 people. More than 18,000 people died when an earthquake of the same magnitude hit Japan's Honshu Island in 2011, affecting 11 countries in the region. The most noteworthy tsunami resulted from the 1929 magnitude 7.3 Grand Banks earthquake near Newfoundland. The maximum tsunami runup was 6 to 23 feet, which was concentrated on the coast of Newfoundland, although it was recorded as far south as South Carolina. A couple of tsunamis reported from Caribbean earthquakes had runups of less than 3 feet. Information from the National Geophysical Data Center shows a handful of deadly events in the Caribbean, the U.S. Virgin Islands and the Canadian Atlantic shore since the late 19th century. Those quakes and resulting tsunamis had death tolls ranging from the low 20s to around 140. In the scenario of Tuesday's test, Atlantic City would see a run-up (the observed maximum vertical height the tsunami wave) of 2.9 feet around 12:47 p.m. That run-up would arrive more than four hours after the initial quake struck about 180 miles northwest of San Juan. During Hurricane Sandy in 2012, Atlantic City had a storm tide (the sum of surge and tide) of 8.9 feet, for an indirect comparison. A handbook published for Tuesday's drill outlines how NWS and its partners will manage communication and response during an escalating crisis. It's possible some of their messages will inadvertently reach the public, but they will all include the words, "THIS IS ONLY AN EXERCISE." As flooding continues to impact areas along the Jersey Shore, towns like Sea Isle have recently updated their flood warning systems to better prepare residents for risks and hazards. The hypothetical earthquake in the NWS's test scenario would have different impacts at varying locations along the East Coast. Their general guidances include moving to higher ground, being alert to local emergency officials and avoiding going to the shore to observe the tsunami. "Lessons learned from the destructive Indian Ocean tsunami include that even areas rarely impacted by tsunamis can suffer tremendous damage and casualties if the people that live and/or travel in these areas are not prepared," the NWS manual said.